Jaclyn Jose admits to being the other woman in the past: "Ang hirap ng sitwasyon." 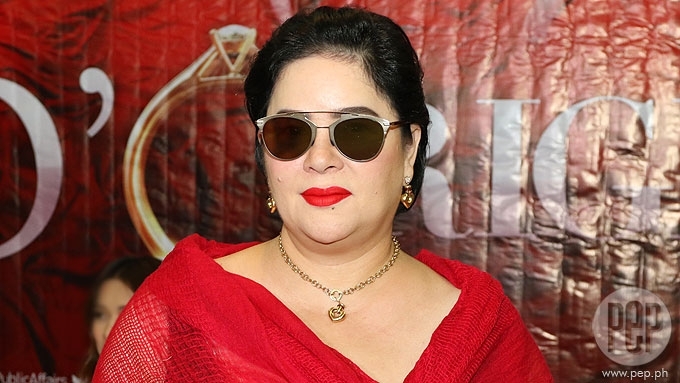 Jaclyn Jose on past experience with being the third party in a relationship: "Na-involve ako sa guy sa lock and shoot. Pag-uwi ko ng Manila, sinabi ng sister ko, 'May asawa 'yan! May anak 'yan! Six months pa lang ang baby.'" Jaclyn Jose admitted that she experienced being the other woman when she was in a relationship with the late Mark Gil. Jaclyn met Mark on the set of their movie Itanong Mo Sa Buwan back in 1988. At the time, Jaclyn described herself as a “probinsiyana” who knows only a handful of celebrities. She recalled, “So, na-involve ako sa guy sa lock and shoot. The veteran actress related this story during the presscon of GMA-7’s new afternoon series, D’Originals, held at GMA Network Center last April 5. Jaclyn did not name names at first, but she eventually identified “Daddy ni Sid” as the guy she got involved with. The veteran actress was referring to Sid Lucero and Max Eigenmann, who are Mark’s children with actress Bing Pimentel. Jaclyn told the press, “So, humingi na rin ako ng apology dun sa woman. “Itawag na lang natin sa pangalang… sa Daddy ni Sid. DIFFICULT TIME. Talking about being the other woman, Jaclyn said that it was a difficult time for her. She elaborated, “Yes, I was once in that position. Pero tahimik ako, e. I don’t know anything. Jaclyn, for her part, recalled that she couldn't help but fall for Mark back then. Was she carried away by their constant togetherness on the set of their movie? The D'Originals star replied, “Hindi maiiwasan ‘yan. “To be real, yun ang pananaw ko, you have to feel the scene sa scene. Jaclyn and Mark only had one child, Andi Eigenmann, who was born in 1990. The couple's relationship reportedly lasted for more than two years. Fast-forward to present time, the 53-year-old actress made it clear that she’s not the type who’d fall for actors she works with. These includes her D’Originals leading man Jestoni Alarcon and former A1 Ko Sa ‘Yo co-star Gardo Versoza. Jaclyn said, “Alam mo, sad to say, ha, sa edad ko kasi na 'to, wala na akong nararamdaman sa mga lalaking ‘yan! Making a joke out of her zero love life, Jaclyn added, “Sa totoo lang, wala na talaga akong nararamdaman! Wala na yung magic na yun. "Kaya hanggat nandiyan pa, go nang go! Mawawala rin ‘yan, I’m telling you."